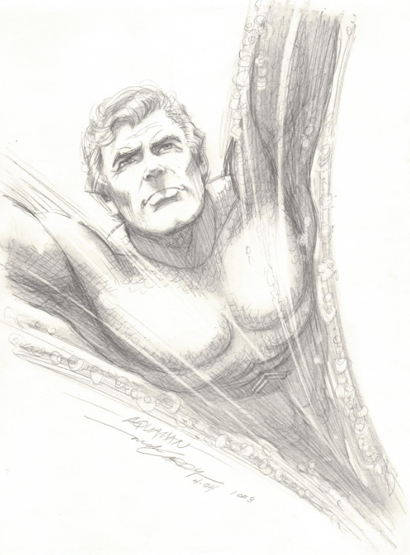 Check out this masterful portrait of the Sea King by Nick Cardy from 2004. hAs you can see from this piece, even though it was many decades into the man's career, he had lost none of his skill. What it is about the Sea King that keeps artists at their peak, way into their elder years? Later works from Paul Norris, Ramona Fradon, and Nick Cardy show no dip in quality from their younger days!